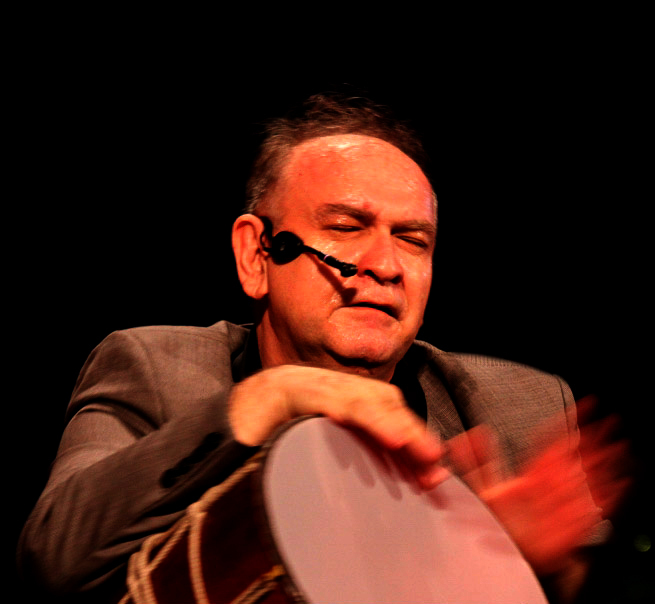 he was born in Tehran in 1960,he has been tought by his brother RAHMAN ASADOLLAHI,to play Ghavall in his eleven,then he prefered playing Naghare because of the more sound`s volume and he trained by HOOSHANG ZIVEH.after eighteen years musician activities,he traveled to azarbayejan republic and he improved his techniques by ALMASS GHOLI OFF. he experienced work with orchestra with proffisor SAFAR ALI JAVI ,and proffisor`s training was work in BAKOO in 1998. VAHID ASADOLLAHI has been traveled to many countries for concerts performance such as,Canada,Armania,Germany,Italy,France. he won the first positin in FAJR festival twice and he was in music festival of KERMAN as judge in 2001.